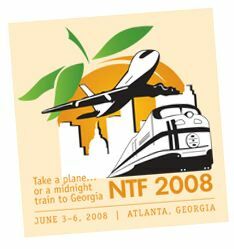 Thank you for visiting Preferred Corporate Housing at the NTF National Travel Forum Conference. We have conducted the drawing for the popular Apple iPod door prizes and the winners are listed below. We look forward to working with everyone we met at the conference and have provided some valuable links and suggestions when choosing a national corporate housing provider for any short or long term lodging needs. Providing government travel solutions involving temporary lodging in over 10,000 cities nationwide. Preferred Corporate Housing has also compiled significant past performance on government and military group housing projects that can be referenced at http://www.corporates.com/performance.php. Preferred Corporate Housing is centralized management and proprietary software solution gives us an edge when coordinating, installing and managing multiple housing units as part of a group move contract. We can pinpoint and create an exact custom housing solution in the location of your choice by choosing from the largest inventory of apartment communities in over 10,000 cities nationwide. Learn more at http://www.corporates.com/groupmove.php. We will be contacting the following winners about their award. Thank you to all who stopped by our booth. We look forward to working with you throughout the year, and we will see you at the next conference.